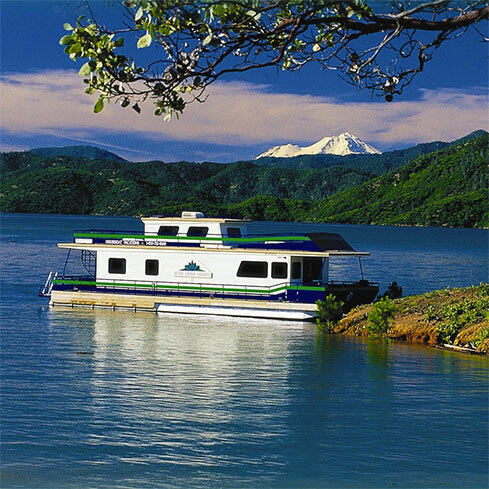 HOUSEBOAT BOOKING PROCEDURES: A booking deposit of $300 per boat is required at the time the reservation is made. The balance of the rental is due 45 days prior to your scheduled boarding date. A security deposit of $500 is due on the day of departure. In certain situations, a $1000 deposit may be required at the discretion of the resort. The security deposit will be refunded when the houseboat is returned undamaged and with the inventory intact. Reservations that are booked within 45 days of arrival must be paid in full with cash, money order, MasterCard, Visa, or AMEX within 72 hours of making the reservation. A $25 surcharge will be added to the full rental fee for each person above the stated number that the boat sleeps. The passenger limit on a 6 sleeper is seven. On 8 sleepers the passenger limit is nine. On 10 sleepers the passenger limit is twelve. On 13 sleepers the passenger limit is thirteen. 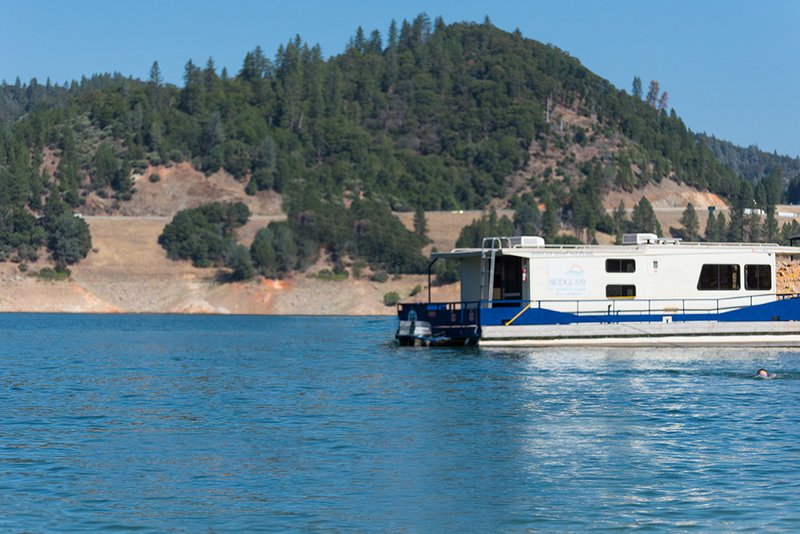 HOUSEBOAT CANCELLATION & CHANGE POLICIES: Any cancellation which is received 45 or more days prior to the scheduled boarding date will result in a refund of your booking deposit, less a $50.00 service charge per boat. Reservation changes made 45 or more days prior to the scheduled boarding date will be processed upon payment of a $50.00 service charge. ANY CANCELLATION OR CHANGE RECEIVED WITHIN 45 DAYS OF YOUR SCHEDULED BOARDING DATE WILL RESULT IN THE LOSS OF THE ENTIRE RENTAL FEE. 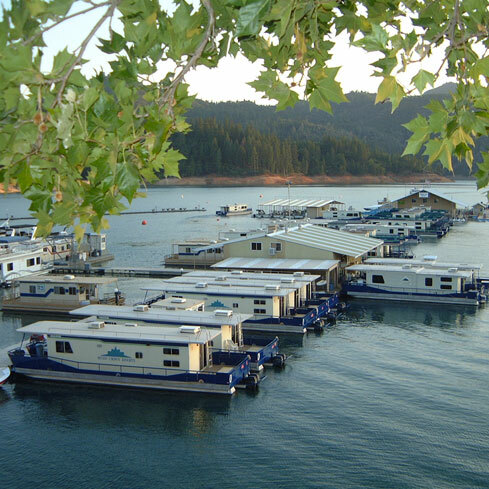 IF THE HOUSEBOAT IS RE-RENTED, YOUR PAYMENT, LESS A $300.00 SERVICE CHARGE, WILL BE REFUNDED. Do you have a CA boater card? 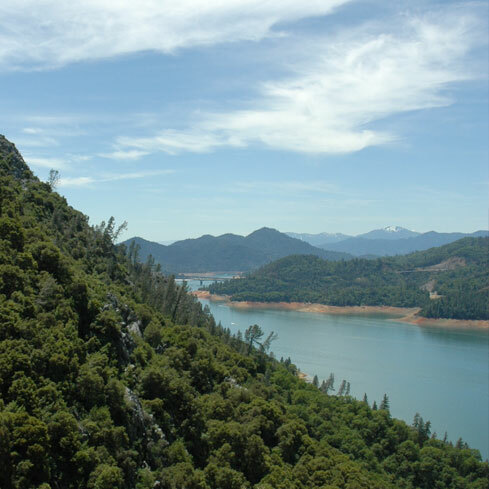 Starting in 2019 everyone under the age of 25 must have one to drive a boat on Shasta Lake. Get more info here. MINIMUM RENTAL PERIOD: There is a two hour minimum on all small boat rentals and on all equipment rentals. Reservations are made for a full day’s rental or more only. Personal watercraft may not be reserved in advance, but may be rented on a walk-in basis at the resort. SMALL BOAT BOOKING PROCEDURES: A booking deposit equal to one day’s rental per boat is due within 10 days of the date the reservation is made. The balance of the rental fee is due 14 days prior to arrival. Reservations made within 45 days of arrival must be secured with cash, money order, MasterCard, Visa, or AMEX at the time of booking. 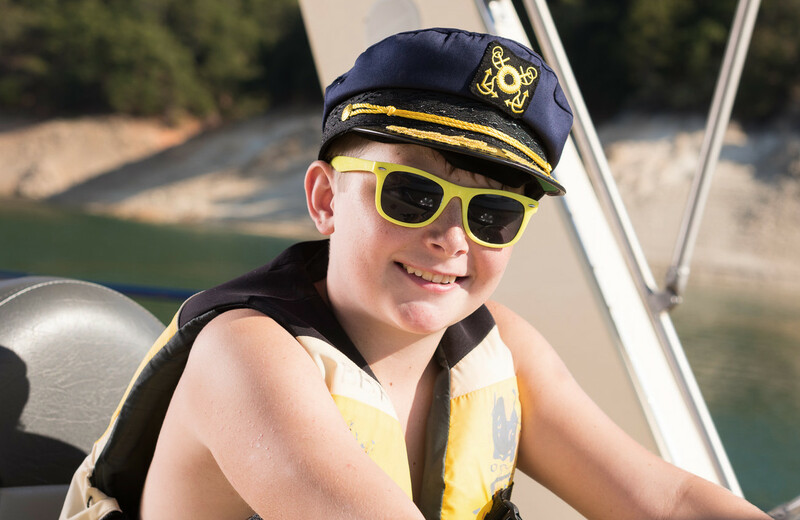 A security deposit equal to one day’s rental per boat is due on arrival, and will be refunded when the boat is returned undamaged and with the inventory intact. SMALL BOAT CANCELLATION & CHANGE POLICIES: Any cancellation or change received 7 or more days prior to arrival will result in the refund of all monies paid. ANY CANCELLATION OR CHANGE MADE WITHIN 7 DAYS OF ARRIVAL WILL RESULT IN THE LOSS OF ONE DAY’S RENTAL. MINIMUM RENTAL PERIOD: Check with individual locations regarding minimum rental policies. TAXES:Room and sales taxes are not included in the rental rates. LODGING & RV BOOKING PROCEDURES:A deposit equal to one night’s rental per room is due within 10 days of the date the reservation is made. Any reservation made within 45 days of arrival must be secured with cash, money order, MasterCard, Visa, or AMEX at the time of booking. LODGING & RV CANCELLATION & CHANGE POLICIES:Any cancellation or change made 72 hours or more prior to arrival will result in the refund of your booking deposit. ANY CANCELLATION OR CHANGE RECEIVED WITHIN 72 HOURS OF ARRIVAL WILL RESULT IN THE LOSS OF YOUR BOOKING DEPOSIT. PLEASE PLAN ON 1-2 HOURS FOR YOUR PARTY TO BOARD THE HOUSEBOAT AND RECEIVE A COMPLETE ORIENTATION BEFORE OPERATING THE MARINA. LAKE SHASTABoarding is available Thursday through Monday. No boarding on Tuesday or Wednesday. Summer or Value Season. For a fee of $200 you may board and sleep on your houseboat the evening prior to your scheduled boarding date (subject to availability). 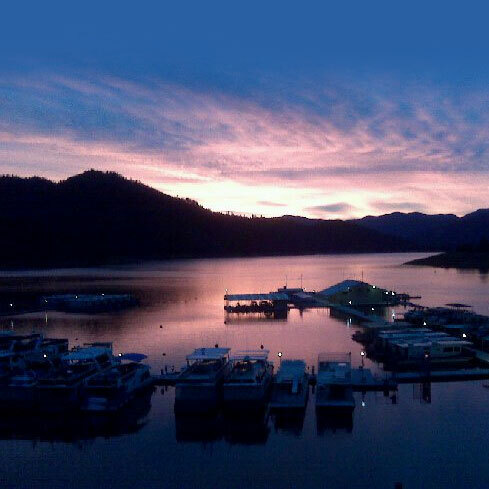 All rental boats may be operated during daylight hours only. Please check with the marina for guidance as to approved boating areas and weather forecasts. Because of our concern for the safety of our customers, we must require that no containers of fuel be brought aboard any type of boat. No exceptions. We welcome pets on houseboats at no additional charge. We require a $50 refundable deposit for pets in our Lodge rooms, plus an additional $10 per day room charge per pet. NOTE: ALL RATES SUBJECT TO INCREASE. ALL POLICIES SUBJECT TO CHANGE WITHOUT NOTICE.